Electrical wire is an integral part of our lifestyle. 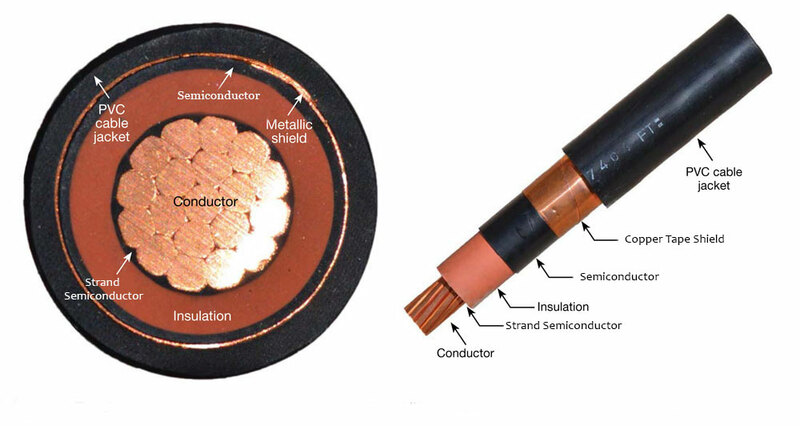 Whether you care to notice or not, copper/aluminum conductors are everywhere. They provide power to every business and home that wishes to be connected. Most of the time, people who aren’t in the electrical trade, tend to see overhead power lines. Those consist of telephone poles and uninsulated wire. But often times, cables need to be routed underground, to get past that overpass. Or to make the electrical system more reliable. Wire that is run underground cannot be constructed in a way to only have a bare conductor entering the earth. 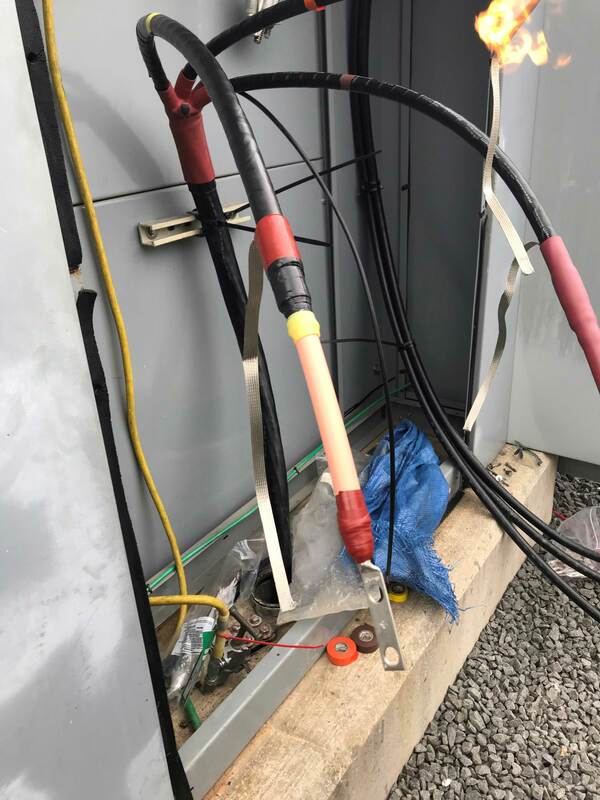 We, as electricians, put a lot of effort into grounding and bonding. This is to protect people and equipment. This can go into much detail, but just know that electrical conductors must be constructed in a manner to remain insulated from earths potential. If you aren’t familiar with a medium voltage cable, I will try to break it down for you. The outermost layer of the cable is the jacket. 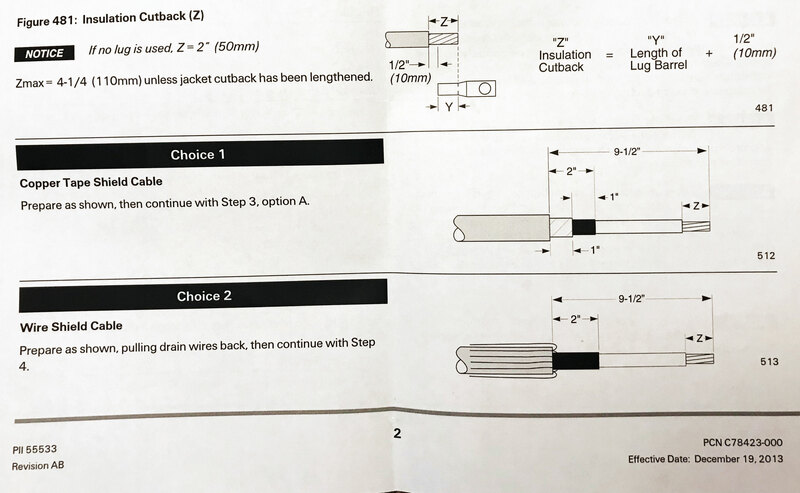 The function of the jacket is to protect the internal components of the cable from external physical forces (i.e. water) and chemical deterioration. The copper tape shield protects the cable itself by confining the cable’s dielectric field and providing symmetrical radial distribution of voltage stress. This limits the stress concentration at any one insulation point. It also helps dissipate heat away from the current-carrying conductor. 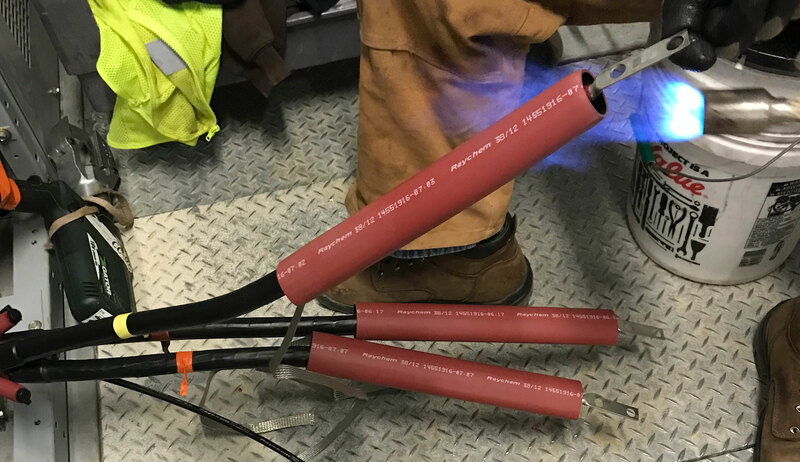 The copper tape shield also helps to protect the user from shock hazards and increases cable reliability by draining off energy that might otherwise cause partial discharge in cables. The shield also carries fault current in the event of a fault. The semiconductor layer is between the Copper Tape Shield and the insulation. One function of the semiconductor is to create a smooth surface for even charge dispersion. 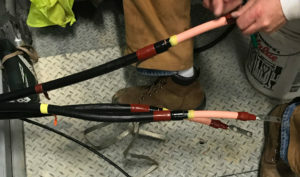 It is an important part of a cable system used to increase the service life of the cable. This is the thin black layer, closest to the copper conductor that serves a very important function. The semiconductor nature of this material allows it to equalize the charge across the smooth surface of the relatively bumpy conductor. This is important to reduce distress placed on the insulation and significantly increases the life expectancy of the insulation. This is the medium of which power is supplied to customers or distributed to different locations. Copper is a good conductor of electricity, right behind silver and gold. This is how voltage and amperage get distributed to be consumed. 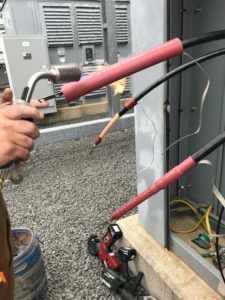 Terminations are a very important part of a cable system. If they are done improperly, the cable could fault, causing thousands of dollars worth of damage, or even personal injury. 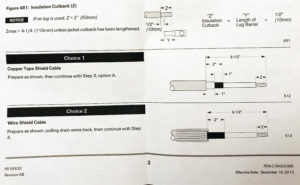 Craftsmanship is also a major factor of a termination. While some may argue “a kit is a kit, slap it on and go to the next”, we need to take care while performing the task of terminating. Cleanliness is another major factor. Dirty hands can leave residue on the insulation that must be clean. This can lead to insulation breakdown via tracking. Scoring the semiconductor. Extra care must be take to ensure the knife isn’t penetrating the insulation. Experienced hands use knives. 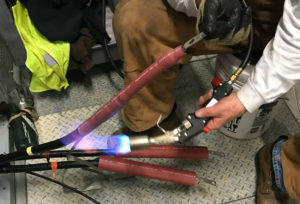 Cables are ready for the Red non-tracking heat shrink tubing. 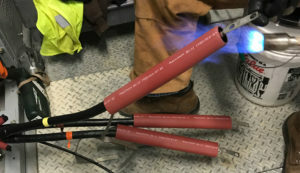 Below is a very quick demonstration of 15kV cable terminations being applied. Photos and video courtesy of John Honigsberg and Mervin Gray of Potomac Testing, Inc in Washington DC. Both splicers are NCSCB certified.